*Widely used in display of middle size products and plastic model in different gestures, window display, solid display, superstore; plug in power and it can rotate in 360 degree, make the suppliers to show their products in all directions and angles, low power consumption and noiseless,it can be controlled both by hands and electricity. *Get all of the angles of the item for recording while the base rotates staystill,Top part rotates. 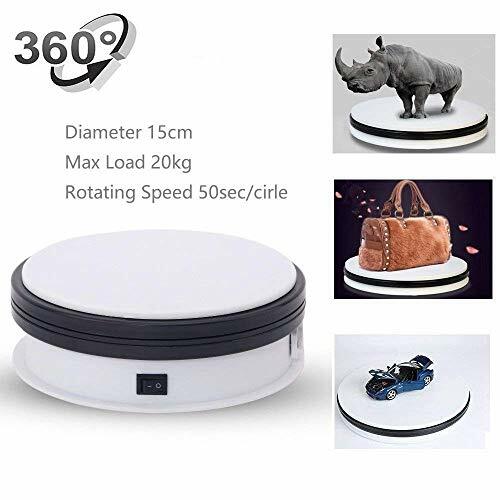 *Have an button allows to turn the rotating feature off or on, the bottom base has grip pads which keep the base in place and prevents it from moving on the table while it is rotating. If you have any questions about this product by Yuanj, contact us by completing and submitting the form below. If you are looking for a specif part number, please include it with your message.